I'm going to try to keep Saturdays pets and/or lifestyle related, and to keep it topical with the beginning of President Trump's new term, let's talk about White House pets. It's unknown whether President Trump will have a pet in the White House, although there is a rumor that someone is giving them a goldendoodle. I guess we'll see. Most Presidents have had a dog, and sometimes a cat, while in the White House. Some of our earlier Presidents have also kept more exotic animals, not just birds and horses but, believe it or not, bear cubs and even an alligator. In a spectacular overreach of powers, Congress once forced a President to give up a pair of tigers. Those were the days, huh? 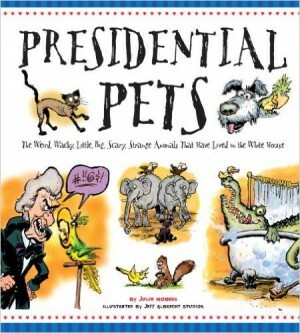 Presidential Pets is a children's picture book that includes some of these intresting facts. The White House today is also the workplace of some very hardworking dogs that help the Secret Service protect the President and his family. They screen for explosives, and they often have to travel for the job. 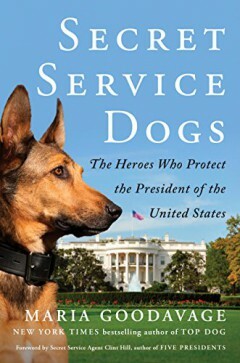 Secret Service Dogs by Maria Goodavage is an inside look at the life and training of these heroic pooches and the special bond they have with their handlers.